She has arrived!! After a treacherous journey from Saltford to Bristol harbour (more on that soon! 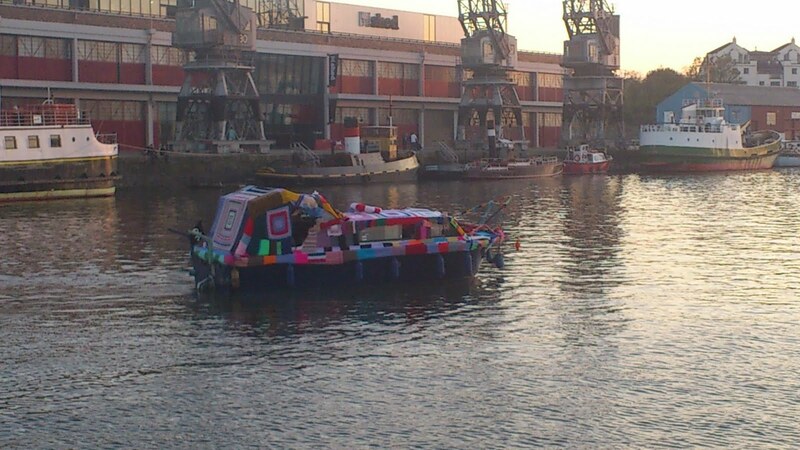 ), The Good Ship Knit is all moored up outside The Arnolfini, where she will be until Wednesday. 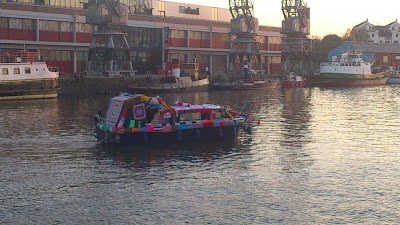 Come on down and have a look at our latest wooly work!